Any idea when they’re going to announce summer tour? Peach Music Fest announced TAB 7/25-28. ^Are you doing ok? Like mentally. I’m really hoping for a 2nd Residency in 2019, and from the looks of these brief early rumored dates it means it’s still in play. Heard a debate between Forum / BGCA, but that they could decide to go back to MSG. Draw to the Forum is a West Coast BD, and for those whom aren’t aware it’s owned by the same family as MSG…and their kids (or at least a few groups of kids in their family) are Heads too. Friends with one of them. What about a redo on the festival not to be named. Lame to play other festys. Throw your own. for the love of god…please come to south fl. 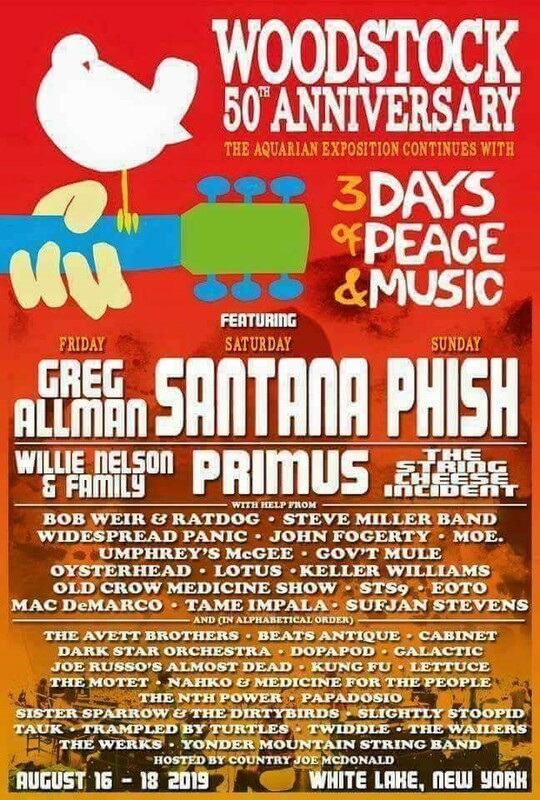 They’re doing a 3 day run at Bethel, not SPAC… same dates. You heard it here first. Hey is alpine valley music theatre confirmed? Been hoping they’d make it back to Bethel. 3 nights at alpine must mean camping !!! Are you going to add in the MSG 6 pack rumor?? Late July/early August. So I guess JazzFest is out eh? Where in Stlouis are we taking the fox ? Small venue ? Would probably be Chaifetz Arena again. Which is best venue for them in St. Louis, 10K person indoor arena and they killed it in 2012. Being from st. Louis, I am really hoping we get em back this year finally. Potential down side of this is I’ve heard rumors around town that this is a warm up booking for bonnaroo. Similar to what they did back in 2016 with WI I believe. Where’s the Fall 2019 rumor thread?? ?